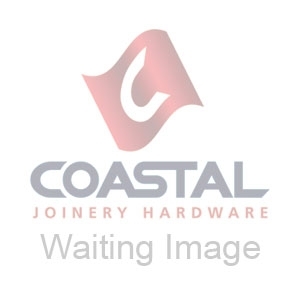 Coastal offer an extensive selection of casement window stays and fasteners depending on your style, if there are any products you are interested in which are not listed below, please contact the office to speak with one of our customer service representatives who will try to help you. Please check the handing diagrams prior to ordering, click here to view. Fixing - Select - The SST91 & SST93 casement stays are fixed to the frame and sash using wood screws, these screws fix all the necessary casement stay fasteners and stay in position. blu™ Satin Stainless Steel universal casement stay for timber windows in a sleek contemporary design, perfectly suited to use with the SST81 & SST85 casement fasteners, available in 2 lengths, 220mm & 290mm. Supplied with all necessary fasteners & fixings. Available in 2 different lengths. A traditional range of casement stays with a popular spoon end design in 8", 10" and 12" versions suitable for timber windows. This selection is ideally suited for refurbishment projects or for the developer seek to achieve traditional aesthetics. Available in Polished Brass, Polished Chrome and Satin Chrome finishes, comes with 2 stay pins and fixing screws. A traditional range of casement stays with a popular bulb end design in 8", 10" and 12" versions suitable for timber windows. This selection is ideally suited for refurbishment projects or for the developer seeking to achieve traditional aesthetics. Available in Polished Brass, Polished Chrome and Satin Chrome finishes and comes with 2 stay pins and appropriate fixing screws. Premium quality antique selection of bulb end design casement stays designed for timber windows, perfectly complimenting both period and comtemporary surroundings. Available in 8", 10" and 12" variants in Dull Black finish. We highly recommend that your window and door fittings are oiled at least every few months. Iron in any form, whether cast or Malleable, is susceptible to rusting. The product finishing process endeavours to cover all areas of the product, first dipping it into a liquid paint which is then stove dried. This is then followed by the Black Powder Coating process, which is also cured by stoving. Obviously when two areas come into contact with each other an abrasive action is enacted, and sooner or later the painting processes are lost by this rubbing action. This is unavoidable during the operational activity of the article, so to prolong the good looks and keep the rusting process at bay we advise that the article is periodically wiped over with a lightly oiled cloth. Any scratching or scuffing of the surface can expose the iron which will lead to rusting, we do sell Realm™ black touch up paint to use in this instance. We strongly advise that these precautions are taken to prolong the life of the products and enhance the beauty of your home. We do not recommend these products to be used within 15 miles of the coast line (This is due to the high salt content in the sea air which has a very corrosive effect on iron). Premium quality antique selection of curly (or 'monkey') tail casement stays designed for timber windows, perfectly complimenting both period and comtemporary surroundings, supplied complete with matching 42 x 11mm pins and fixing screws. 56 x 12mm fixing plate. Lockable peg to suit traditional style Casement Stay. Available in Polished Brass, Polished Chrome and Satin Chrome finishes. Comes complete with key and fixing screws. Antique Black Locking Pin suitable for the curly tailed or bulb ended casement stays, supplied complete with key and fixing screws. Also known as locking pegs. The SR Cockspur Fastener range is a casement fastener specifically designed for timber windows, featuring a minimal projection for ease of window stacking. The handle has a smooth lead-in action and streamlined design. Tested in accordance with BS 6462-1985 "Mechanical performance of peg-type casement stays and face-fixed wedge action fasteners" pr EN 13126:3. Available in Black, Brown, White, Polished Brass, Satin Chrome, and Polished Chrome finishes. This handle does not come with a keep, this is sold seperately, fixing screws are also not supplied. Spare cover caps are available as well as spare keys, please see related items. Fastener keeps for use with the SR Cockspur Fastener SR160, featuring a night vent and weatherseal lead-in action. Available in a range of finishes in both flat and 9 degree bevelled designs. Tested in accordance with BS 6462-1985 "Mechanical performance of peg-type casement stays and face-fixed wedge action fasteners" pr EN 13126:3. These keeps are not supplied with fixing screws. A traditional range of casement fasteners with a popular spoon end design suitable for timber windows. This selection is ideally suited for refurbishment projects or for the developer seeking to achieve traditional aesthetics. Available in Polished Brass, Polished Chrome and Satin Chrome finishes. Fasteners come complete with both mortice and hook keep plates. Non-handed. A traditional range of wedge pattern casement fasteners with a popular spoon end design suitable for timber windows. This selection is ideally suited for refurbishment projects or for the developer seek to achieve traditional aesthetics. Available in Satin Chrome, Polished Chrome, Polished Brass and Oil Rubbed Bronze finishes. Fasteners come complete with the key and are non-handed. A traditional range of wedge pattern casement fasteners proudly made in Britain with a popular spoon end design suitable for timber windows. This selection is ideally suited for refurbishment projects or for the developer seek to achieve traditional aesthetics. Fasteners come complete with the key and fixing screws and are non-handed. A traditional range of casement fasteners with a popular bulb end design suitable for weatherstripped timber windows. This selection is ideally suited for refurbishment projects or for the developer seek to achieve traditional aesthetics. 304 Grade Satin Stainless Steel Casement Fastener in a sleek contemporary lockable design, coming complete with a night vent mortice plate suitable for use with a 5mm weatherseal compression gap. Includes suitable fixings, please check the handing diagrams prior to ordering, click here to view. Spare 304 grade stainless steel keep plates for use with the SST79 casement fasteners, to be used on rebated pairs of sashes and inward opening sashes, these come complete with fixing screws. Premium quality antique selection of bulb end design casement fasteners designed for timber windows, perfectly complimenting both period and comtemporary surroundings. Available in locking or non-locking variants in Dull Black finish. We do not recomment these products to be used within 15 miles of the coast line (This is due to the high salt content in the sea air which has a very corrosive effect on iron). Premium quality antique selection of Curly (or 'Monkey') Tail Casement Fasteners designed for timber windows, perfectly complimenting both period and comtemporary surroundings. Premium quality antique selection of nightvent wedge pattern curly tail casement fasteners designed for timber windows, perfectly complimenting both period and comtemporary surroundings. This is a Lockable variant in a Dull Black finish.